Western Pavers provides professional design and installation of all phases of landscaping, irrigation, lighting, pavers, walls, ponds, waterfalls, fountains, and outdoor fireplaces and outdoor kitchens in the San Diego and Orange County areas. 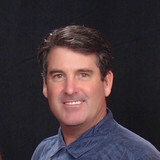 Our founder Jerry Larimore started his career in the interlocking paving business in 1997. Becoming the first paver salesman for one of the largest flatwork companies in California was not easy. Jerry found himself creating a market for Interlocking Pavers. Many builders had not experienced the difference that pavers make in the overall look and feel of a property's landscape. In late 1999, Jerry stepped out into the scary world of self-employment. As they say, " the rest is history". 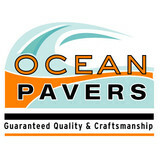 Aviara Pavers specializes in creating a unique environment on your property. Replacing a driveway or patio living space, adding a BBQ or fire pit, or going green with artificial turf, we have the solution for you. 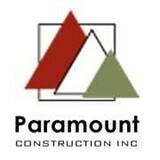 We design, install, and service our clients with a professionalism and integrity that sets us apart. Soil Retention manufactures and distributes Verdura® - plantable retaining walls for raised garden beds, sound walls, tree rings, edging, borders, garden/living walls, backyard walls and more. And, Drivable Grass® permeable grass pavers for driveways, pet digging control, parking, pathways, RV access, patios and more. Homeowners in Irvine often don’t realize just how important a driveway is when it comes to curb appeal; it’s one of the first things guests see when they arrive and one of the last when they leave. So if your front drive is damaged or you want to switch from, say, a gravel driveway to an asphalt one, hire an Irvine, CA driveway installation and maintenance professional to help you create your dream driveway. From installation to repair, Irvine, CA driveway contractors are responsible for a variety of planning, installation, construction and driveway maintenance services. Driveway materials. While most driveway contractors in Irvine, CA primarily work with asphalt, they are also experts on the wide range of available driveway materials. If you are looking for something different than a standard asphalt driveway, your pro can help you select driveway pavers or customize a brick driveway design. A driveway installation and maintenance professional may work closely with an Irvine, CA builder, landscape professional or various manufacturers and suppliers. Find an Irvine, CA driveway installation and maintenance professional on Houzz. Narrow your search in the Professionals section of the website to Irvine, CA driveway installation and maintenance. You may also look through Irvine, CA photos to find examples of driveways that you like, then contact the professional or contractor who worked on them.